A young street performer playing her violin during the Kerrytown Farmer's Market in Ann Arbor, Michigan. 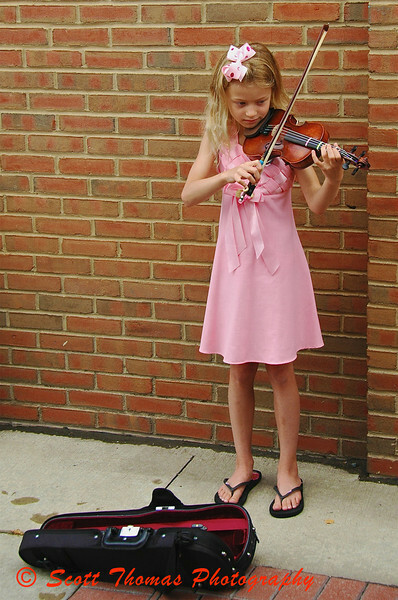 This entry was posted in People, Travel, Weekly View and tagged ann arbor, bricks, farmers, girl, kerrytown, market, michigan, music, playing, violin, young. Bookmark the permalink. Looks as if she needs a good meal, or two, or more. She looks sad to me.